Baby-friendly hospitals may not be so baby-friendly after all. Baby-friendly hospitals are intended to promote breastfeeding. But do they actually affect breastfeeding rates? Over the past decade, a growing number of hospitals have become certified as “baby friendly” as part of a global initiative to encourage breastfeeding. In order to receive this designation, labor and delivery units must agree to 10 rules, which include rooming-in (keeping babies in their mother’s rooms instead of in nurseries), banning pacifiers, and avoiding formula unless medically necessary. It’s a somewhat austere line-up of regulations, and some critics say that baby-friendly hospitals’ strict rules are “mother-unfriendly.” Now a new report calls into question whether baby-friendly hospitals are better for babies than hospitals without the certification. For a recently published paper in the Journal of Midwifery and Women’s Health, certified nurse midwife Abigail Howe-Heyman and Melanie Lutenbacher, an associate professor of nursing at Vanderbilt, reviewed all the English-language research that has been done on baby friendly hospitals since the Baby-Friendly Hospital Initiative was launched by UNICEF and the World Health Organization in 1991. They discovered that the evidence is inconclusive as to whether the initiative has an impact on breastfeeding rates. The evidence for baby-friendly hospitals in the United States is far from conclusive. The United States was a late adopter of the initiative, which was created with developing countries in mind. Domestic enthusiasm for the initiative didn’t really take off until 2010, when the U.S. Department of Health and Human Services incorporated the initiative into federal goals. A year later, the Centers for Disease Control and Prevention gave away $6 million to try to help increase the number of baby-friendly hospitals. * These measures appear to have worked. In 2007, 2.9 percent of all births in the United States happened in a hospital that was certified baby-friendly. Today that number is nearly 17 percent, according to Baby-Friendly USA, the American accrediting body for baby-friendly hospitals. Howe-Heyman and Lutenbacher say while the baby-friendly hospital movement can be beneficial in some settings, it might be too rigid in a country as diverse as the United States. Studies suggest that the initiative has a bigger impact in communities where women had a lower baseline education level than in areas where women are more educated. The good news is that more hospitals are catching on to the perils of a one-size-fits-all model, especially one designed with global health in mind, and trying a more customized approach to supporting breastfeeding. When I asked Howe-Heyman what baby-friendly hospitals could do to be more mom-friendly, she suggested a couple of changes. One simple fix would be to make it routine to allow a partner or support-person to sleep in the hospital room with the mother, free of cost. (At the hospital where I gave birth to my son, the cost for a private room that my husband could join me in was around $1,000. We passed.) This way the exhausted mom wouldn’t have to shoulder the physical, and emotional, burden of the rooming-in policy all by herself. They also said lactation consultants in baby-friendly hospitals could be more careful about how they talk about breastfeeding—and avoid making mothers feel pressured into breastfeeding or guilty if they have trouble breastfeeding. 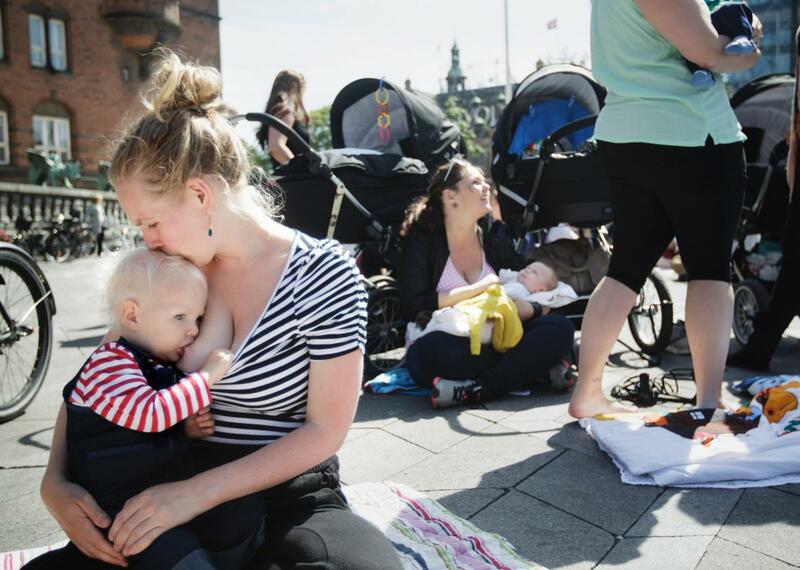 From a large-scale public health perspective, breastfeeding has well-documented benefits. But on an individual basis, breastfeeding is just one of many factors that affect a child’s health, and some studies suggest it probably won’t make much of a difference in an individual child’s life in the long run. * There’s no medical justification for shaming new moms who can’t breastfeed for whatever reason. Update, Feb. 25, 2016: This post has been updated to clarify that the suggestion that breastfeeding won’t make much of a difference in an individual child’s life in the long run comes from other studies, not from Howe-Heyman and Lutenbacher. Correction, Feb. 26, 2016: This post originally misidentified the Centers for Disease Control and Prevention as the Center for Disease Control.